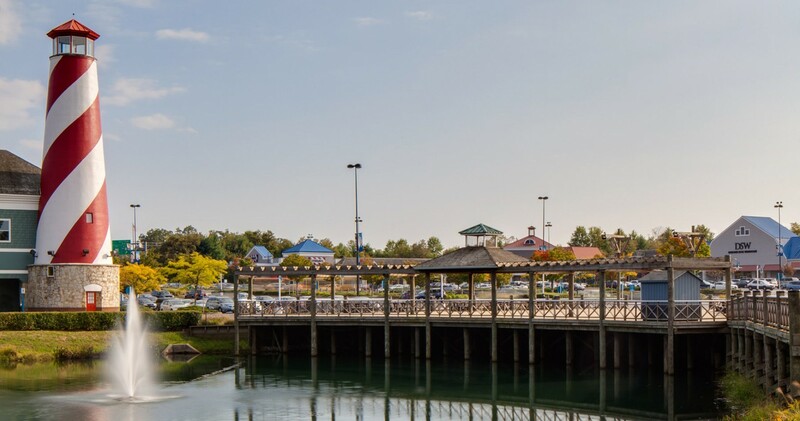 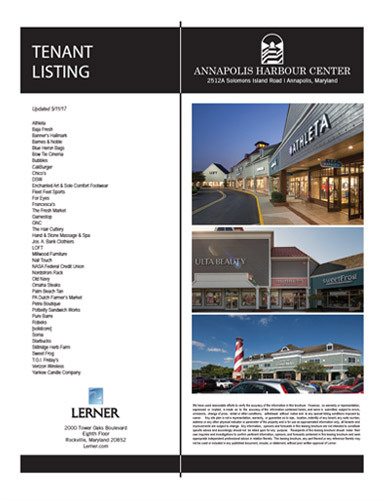 Annapolis Harbour Center is a 292,000 square foot lifestyle center that has long been one of the most popular shopping destinations in the Annapolis area. 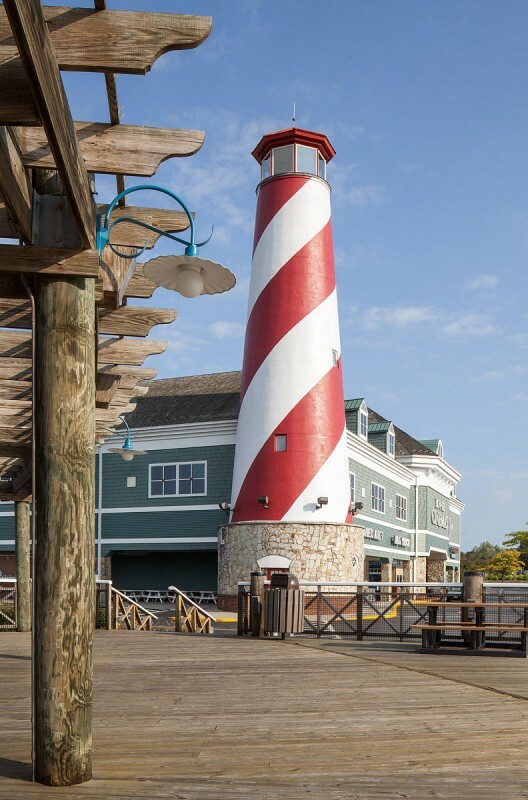 This outdoor center is located just minutes from the City of Annapolis, the state capital of Maryland and a highly popular historical tourist attraction. 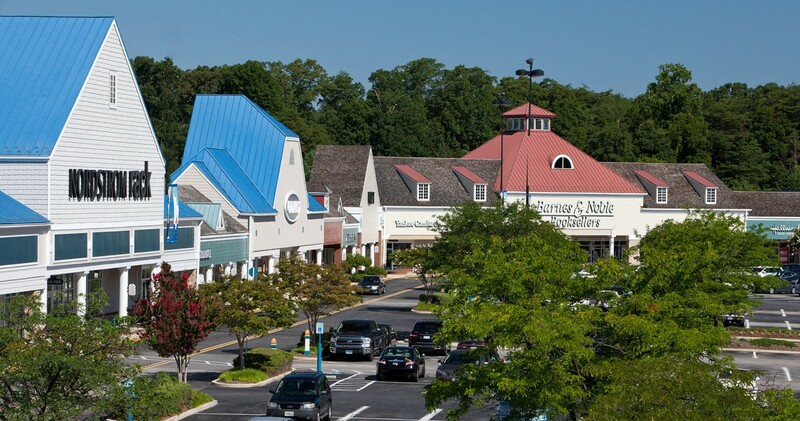 Anchored by The Fresh Market, Bow Tie Cinemas, Nordstrom Rack and the Pennsylvania Dutch Farmer’s Market, Annapolis Harbour Center boasts numerous renowned national retailers and unique specialty boutiques, providing for a well-rounded tenant mix. 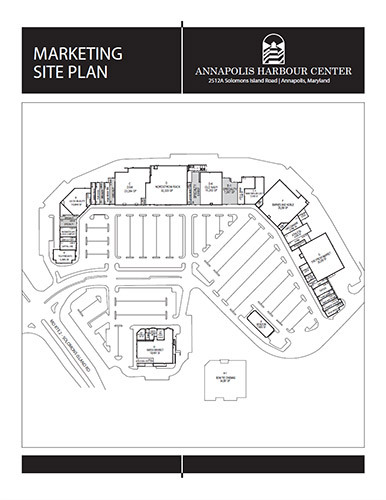 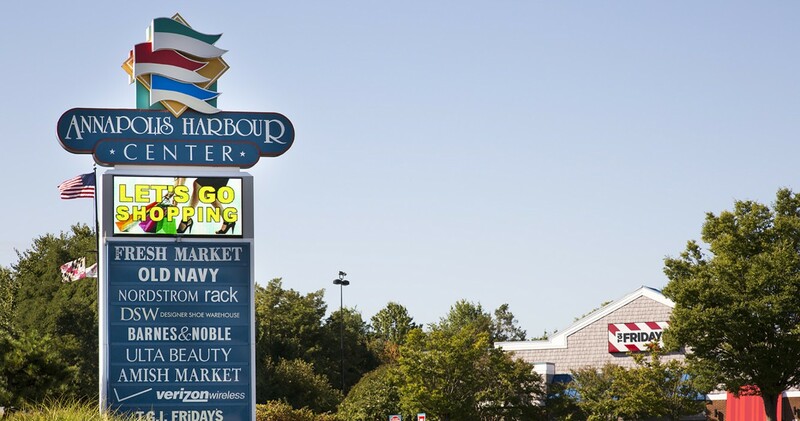 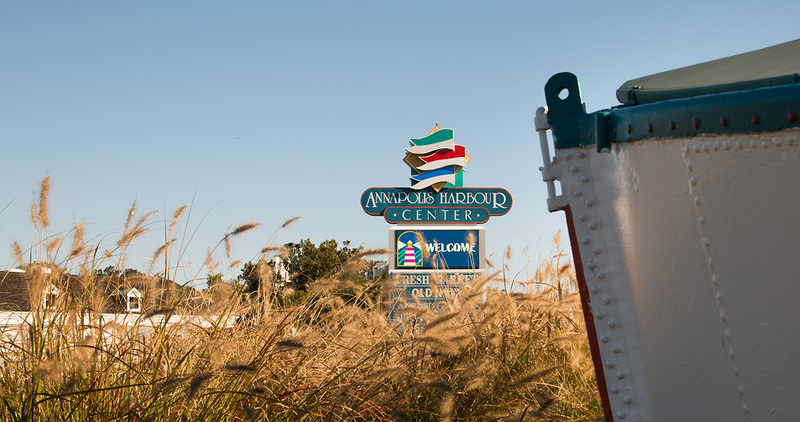 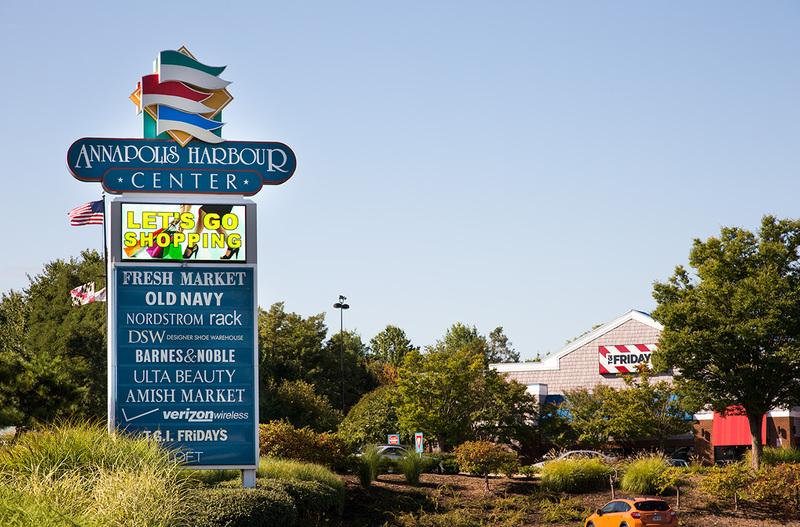 A dominant retail center in the market for over 20 years, Annapolis Harbour Center continues to be the focal point of the immediate trade area and neighboring markets, attracting tourists and consumers from upscale households in Anne Arundel County, Annapolis and throughout the Eastern Shore. 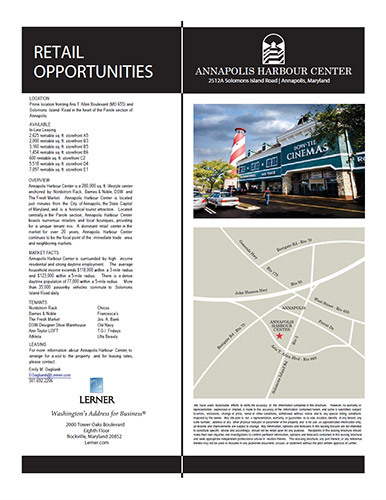 Situated in Annapolis, Maryland, a playground for affluent boaters from around the world and leisure travelers from around the country. 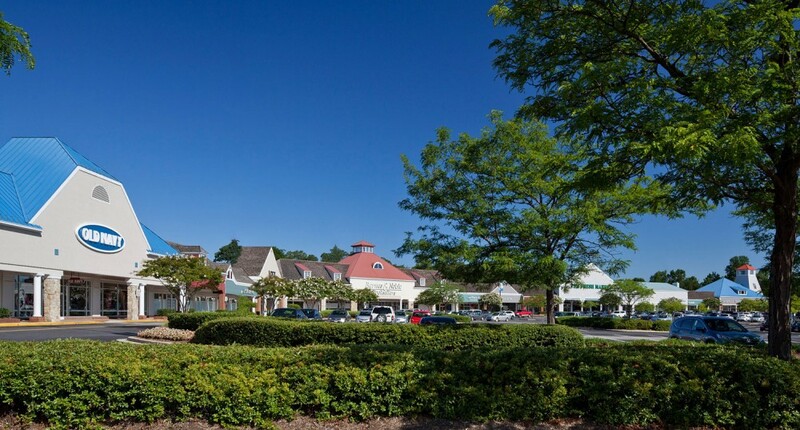 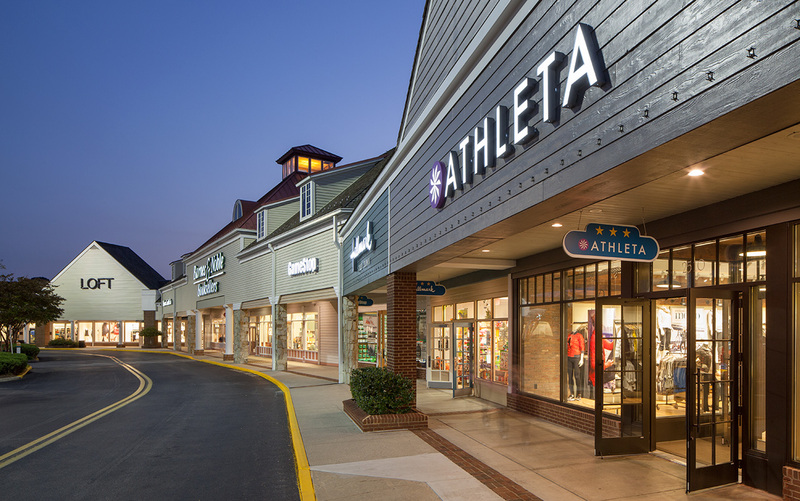 The 292,000 square foot fashion lifestyle center is one of the most popular shopping destinations in the Annapolis area and features abundant free surface parking. 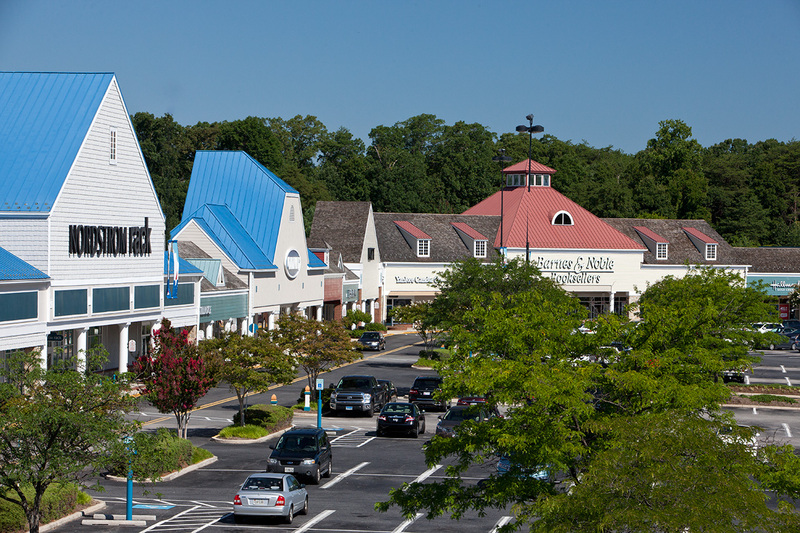 The open air center includes top brands and attracts high-spending tourists and residents from the many upscale households and neighborhoods surrounding the center.